Home breaking news featured What Princess Diana Knew? Because it’s lizard, because it’s cold-blooded, it’s much easier for them to do Frankenstein s*** than it is for us. The different bodies are just different electrical vibrations and they have got that secret, they’ve got the secret of the micro-currents, it’s so micro, so specific, these radio waves that actually create the bodies. These are the energies I work with when I’m healing.They know the vibration of life and because they are cold-blooded, they are reptiles, they have no wish to make the Earth the perfect harmony it could be, or to heal the Earth from the damage that’s been done. The Earth’s been attacked for zeons by different extraterrestrials. It’s been like a football for so long. This place was a bus stop for many different aliens. All these aliens, they could cope with everything, including the noxious gases. can ever be as nasty as they really are. 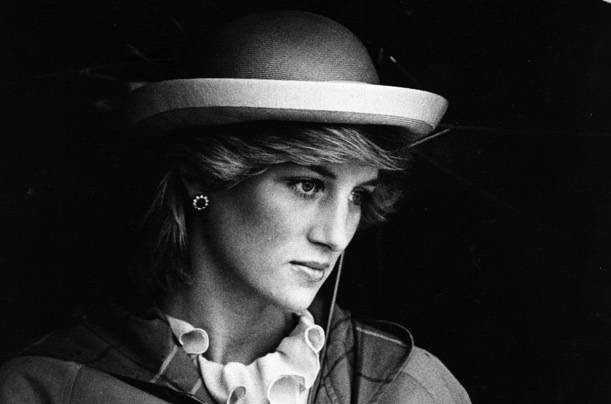 Diana used to say that if the world knew what they were really like, they wouldn’t want them, but I knew that. My chin was on the couch now, hearing about all these orgies at the palace. Just the laugh that these serious people who are going on like butter wouldn’t melt up their jacksy and they are carrying on like that. Only a few weeks before this book went to press, and months after Christine gave me her information in England, I was contacted by a friend in the United States who was deprogramming a very high level mind controlled slave from Project Monarch. He believes her to be the highest ranked woman in the Satanic hierarchy in the United States and she was one of only three Mother Goddesses in the world. This is Arizona Wilder, formerly Jennifer Greene. She said that during the sacrificial rituals the Queen wears a cloak of gold fabric inlaid with rubies and black onyx. The Queen and Charles have their own ritual goblets, inlaid with precious stones signifying their Illuminati-Brotherhood rank. The Mother Goddess says that the Queen makes cruel remarks about lesser initiates, but is afraid of the man code-named 'Pindar’ (the Marquis de Libeaux) who is higher than her in the Satanic hierarchy. The Queen Mother: She’s cold, cold, cold, a nasty person. None of her cohorts even trusted her. They have named an altar (mind control programme) after her. Prince Charles: “I’ve seen him shap-shift into a reptilian and do all the things the Queen does. I have seen him sacrifice children. There is a lot of rivalry between them for who gets to eat what part of the body and who gets to absorb the victim’s last breath and steal their soul. I have also seen Andrew participate and I have seen Prince Philip and Charles’ sister (Anne) at the rituals, but they didn’t participate when I was there. When Andrew shape-shifts, he looks more like one of the lizards. But he would have seen a baby being born and introduced as the new king and the sacrifice of an old man. The Queen Mother was there, the Queen, Pindar, Rothschilds, a lot of people I don’t know and a guy named Tony Blair. He was being groomed because my understanding of it was that people are picked out and groomed for certain positions. I don’t think it symbolised the birth of a child so much as the birth of an age the Age of Horus which begins by the year 2,000. This means the New World Order, the Age of Horus, the terrible child.” She said that the foetuswould have been divided among certain high ranking leaders of the Brotherhood/ Illuminati and consumed in ritual. Another part of the ritual was that Diana was blond-haired and blue-eyed. Cathy O’Brien is the same, so is Arizona although she had dyed her hair to break that spell when I met her. She said that even when the Elite sacrifice cats they are blond-haired and blue-eyed. There is something about that genetic structure which is fundamental to them and this is the blood they need to survive in this dimension. At least most of the Monarch slaves have blond hair and blue eyes. “There were no blue eyes on this planet until the extraterrestrials came”, Arizona said.